Srinagar, Sep 24 (KNS): Joint Resistance Leaders (JRL), Syed Ali Geelani, Mirwaiz Dr. Mohammad Umar Farooq and Mohammad Yasin Malik at a crucial meeting raised an alarm over the construction of Rattle power project which it said is being shared with some undisclosed public sector undertaking of the central government. The JRL also hit out at the government for allegedly constructing army basements at Gulmarg. The JRL also renewed its call for total boycott to municipal and panchayat elections already announced by the government. JRL has threatened a mass uprising against the measures central and state government is taking against the economic and political interests of the people of Jammu and Kashmir. In a statement issued to KNS after the meeting, the Joint Resistance Leadership while elaborating the measures taken by the government to what it called “change Kashmir into a colony of India”, said “850 MW Rattle Power Project is being shared with some undisclosed Public sector undertaking of GOI. It will be another loot and plunder of our resources which only and only belong to the permanent residents of J&K. 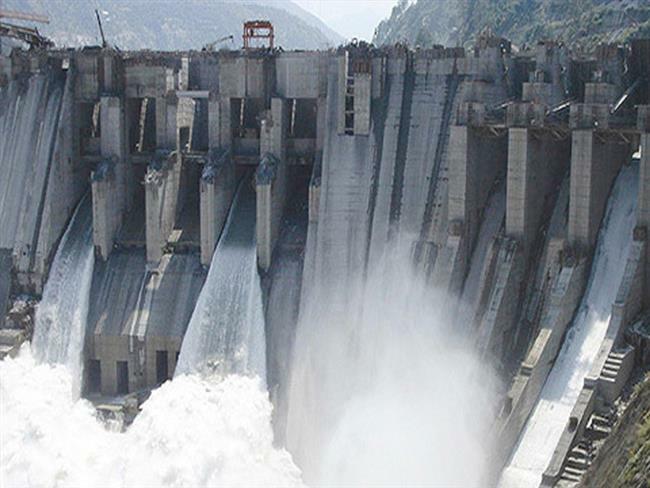 Saying that NHPC is already holding illegal and unconstitutional control over 8 power projects viz Salal, Uri I, Dul Hasti, Sewa II, Uri II, Nimo Bazgo, Chutuk and Kishen Ganga, the JRL said the other three projects viz Pakal Dul, Kiru and Kawar with cumulative capacity of 2120 MW are being shared with them under the garb of joint venture Chenab Valley Power Projects Ltd (CVPP). Saying that the 1000 MW Burser has been given to NHPC in the year 2000 on which though they have not started any work but remains with them, the JRL said J&K Government is mulling to share 1850 MW Sawlakote with some Himachal PSU. Declaring that it cannot remain as mere spectators to the “loot and plunder” of these resources going on unabated, the JRL reiterated its pledge to fight such designs of the Central government tooth and nail along with the massive support against the conspiracies having semblance with the role of East India Company for the British imperialism, warned the Indian occupation authorities to desist from such nefarious designs to ruine our economy, render lakhs of electric employees unemployed and widespread destruction of our environment as a place for tourist destinations, the JRL in a first move made a fervent appeal to the freedom loving people to observe a complete election boycott as an important political antidote for aggression to implement the foresaid ill designs by using these elections as a political tool. The Resistance Leadership expressed its grave concern on the vile attempts of the occupation authorities to exploit the political, economic and cultural values of the state. Apprising the freedom loving people of Jammu and Kashmir about the ill designs of the Indian aggression, the JRL said that tinkering the hereditary law, change in Muslim majority character of the state, elimination of state subject law’s, privatization of electric projects, construction of military basements at Gulmarg and other health resorts of tourism destinations, are on the Indian anvil to turn Jammu and Kashmir as a mere colony of India. The JRL while urging close contacts and widespread consultations with the freedom loving people, termed it highly imperative to launch a people’s uprising against the brazen sole of our economic assets, environmental beauty, and demography at the hands of Indian imperialism in the shape of East India company of modern times.